The fifth-annual Street Beat 5K will kick off the morning of the Drum Corps International World Championship Finals, Saturday, August 11, with a fitness-focused event that invites attendees to run, walk or stroll for a cause. Helping to wrap up the DCI Summer Tour and DCI World Championships in downtown Indianapolis, proceeds from this year's event will once again support the Marching Music Health and Wellness Project (MMHWP), an initiative dedicated to improving medical guidance and care for those involved in marching music. Featuring a new route for 2018, race participants will hit the starting line at Lucas Oil Stadium before the race heads through downtown streets, doubles back at Military Park and ends at Pan Am Plaza, the site of the SoundSport International Music & Food Festival. 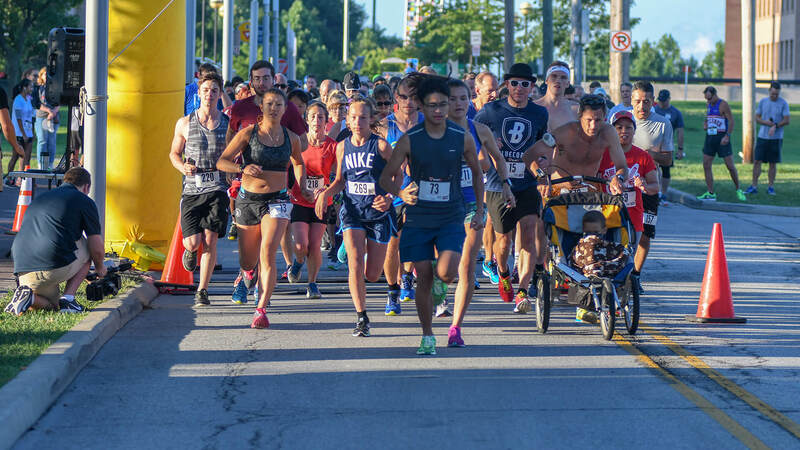 “Whether you’re into racing or are just looking for an active way to kick off the final day of the DCI World Championships, the Street Beat 5K is a festive, family-friendly way to do so,” DCI director of events Susan Kuehnhold said. Also new for 2018’s event, will be a pre-race stretch/yoga session led by Liz Shanefield, the founder of Sojourn Yoga located in Drexel Hill, Pennsylvania. An experienced teacher registered through the Yoga Alliance, Shanefield is an avid marching music supporter as an alum of The Cadets. Registration for the Street Beat 5K can be done online, and is open until the event begins on Saturday, August 11. The registration fee is $45 which includes a timing bib, a DCI Street Beat 5K shirt and a participant medal.